This week, we had an interesting chat with Antonis, the coordinator and teacher for the DLL program on Lesvos. 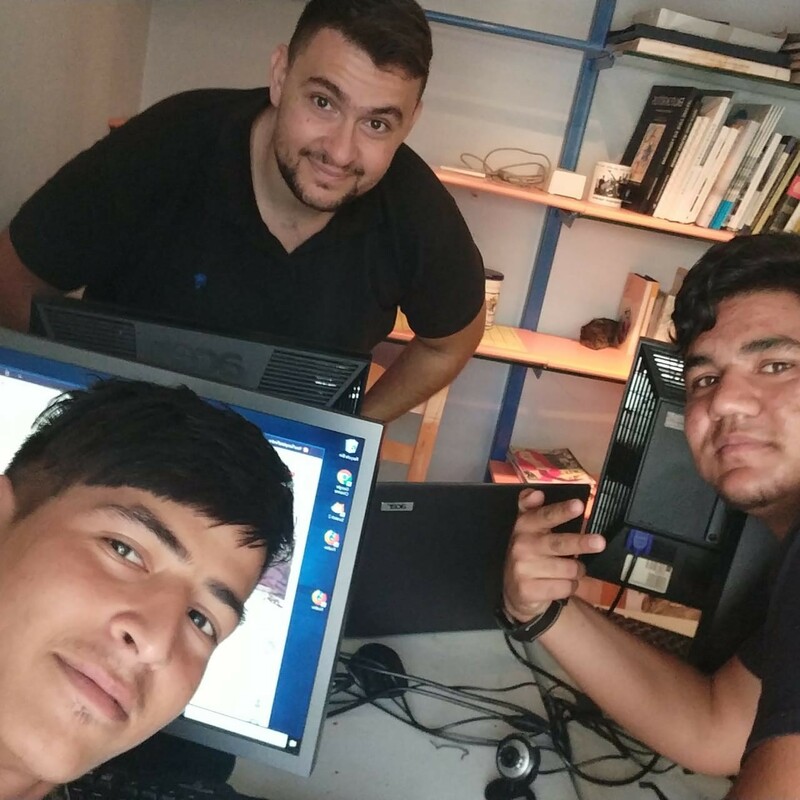 As a Lesvos local and MOTG member, Antonis shares his perspective on both the refugee crisis, as well as giving us details on how the Digital Learning Lab works and why it’s so important for everyone to have basic knowledge of using a computer! Antonis, it’s such a pleasure to have a chat with you, given your busy schedule with your DLL program! How did you initially hear about Movement On The Ground? What made you want to be a part of the Movement? "How? By accident! [laughing] Well, Movement was looking for an IT teacher. A University lecturer here on Lesvos, reached out to me to see if I was interested. 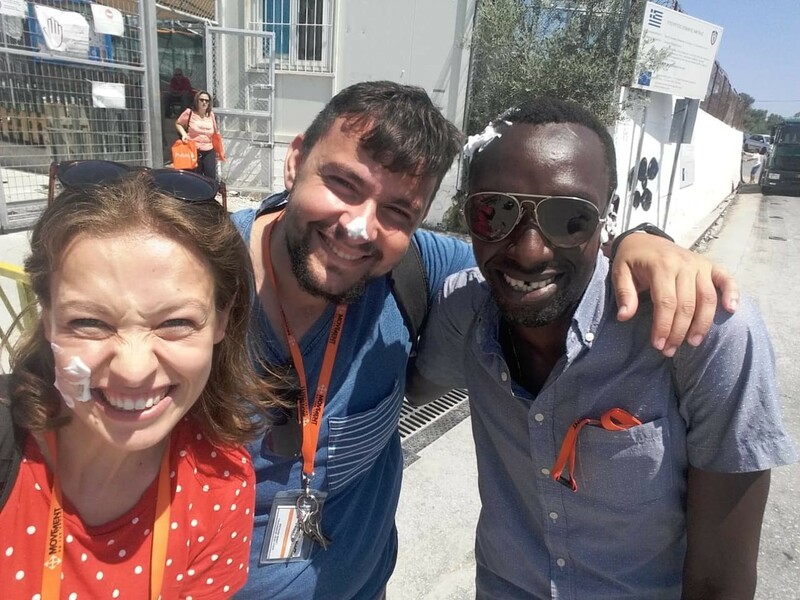 They offered me the position and I accepted it around 8 months ago because I wanted to help and know more from the situation from the refugees perspective. That was especially interesting to me because I am from Lesvos." As a local on Lesvos, what are your thoughts on the refugee crisis in general? "You know, I can understand the problem from both the refugees' perspective as well as the Lesvos locals. The locals have, in general, been very welcoming but have also seen their island change. The thing that people need to remember, is that everyone involved actually wants the same thing: for the refugees to find a new home in Europe, and leave Lesvos. At this moment there sometimes is friction, because that's what happens when there are a lot of different people in the same area, but let's remember that we all want the same thing!" Do you think Movement On The Ground is helping this issue, between the locals and refugees? "I think Movement tries to build bridges between the two sides with the projects associated with Greek people, and also by hiring Greek people. This way, new relationships between new people and locals are created." That’s great! So, what does a day in your DLL class look like? What things do your students learn? "I’m responsible for the entire DLL program. Everyday, we have different activities based on different age groups, from children to grown-ups. We have typing classes, so kids can learn about how to improve their typing skills, computer classes where people can gain basic knowledge about digital devices and an advanced class, where learners can upgrade their digital skills in general. We also have workshops, seminars from groups that visit us in Lesvos, and many other activities related to digital devices and IT science. Sometimes we have entertainment periods where we watch movies and play games." For the kid’s classes, what kind of things do you teach them on the computer? "Because most of them have issues with the English language, we started a beginners class where we show them how to type on an English keyboard. I also try to teach them basic words and vocabulary in English." Have you faced any difficulties in your job? "Not really! I love my job now. The thing is, I’m in contact with different people with different cultures every day. So, it’s a really interesting job, well actually, it’s more of a position because I don’t really look at it like a job." You've seen many cultures from people all around the world. Which one really stood out to you? Which culture do you really like? "The majority of our students are from Afghanistan, so I have much contact with Afghani people. There are also a lot of students from Pakistan, as well as Syrians and African. But, all of them are really interesting when you discuss with them and hear about their stories. As they discuss how they came here, the difficulties in which they faced and their trip." That’s all really interesting, Antonis! We’re really happy that you’re enjoying your position and I hope to speak to you soon! Have a good day! "Thanks! It was good talking to you, too! Bye." 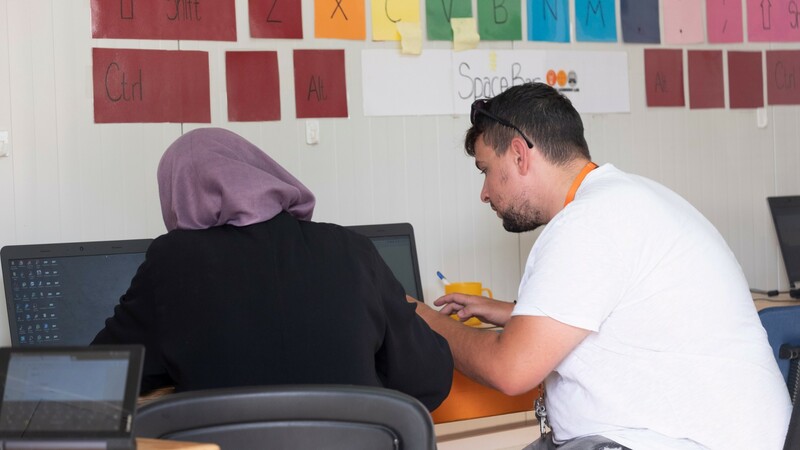 Would you like to become a volunteer on Lesvos or make a donation to help us maintain projects like the DLL class to help this ongoing crisis? Click here for more information.